Experts talk to us about facing the biggest challenges of the coming year head on and how CIOs can excel in 2019 with advances in technology. Given the speed at which technology is transforming our business landscape, it’s vital that global and UK CIOs remain at the forefront of innovation and consistently add value to their organisation. Indeed, a recent survey by Gartner found that almost half (49%) of global CIOs have already changed their business models or are in the process of changing them, highlighting the increasingly vital and leading role they must play. Critically, innovation must be carried out with a clear focus on business outcomes, agility and improving customer experience, but this doesn’t come without its challenges. Tightening budgets, resourcing issues and legacy system barriers will all be familiar issues for today’s IT professional – particularly those operating at C-suite level. 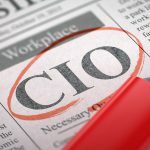 Perhaps an even bigger obstacle as we move into 2019 are the systems and software currently available to CIOs; much of which falls woefully short in enabling them to drive true Digital Transformation. Easy integration, great usability and client-led, empowered change are all must-haves – but these can be extremely difficult to find. Software must grow with an organisation’s strategy and enable – not thwart – innovation. It’s therefore time for change and for reliance on external software vendors to shift. With this in mind, let’s discuss some of 2019’s biggest challenges and how software vendors can support CIOs to move forward with momentum. Currently, too many businesses remain dependent on software vendors for even small-scale, simple changes. Not only does this work tend to be chargeable, it is also often pushed to the bottom of a software vendor’s workload pile; consequently, taking far longer than necessary to be delivered. Such delays hinder agility and provide an ineffective model for the future of business transformation. Instead, CIOs must be given greater internal control of their chosen software, enabling them to innovate and configure at a pace that matches their needs. This allows top IT professionals to empower their own teams to implement customisation and process enhancements – whether to quickly react to a changing environment or as part of forward-looking change programmes. Only then can the company personalise and tailor their offering and evolve as customer expectations change – ensuring they can stay ahead of the competition which may be innovating at a far slower pace. Importantly, this doesn’t mean that software suppliers should leave partner organisations without any support; but simply reduce their dependence and empower them to make changes in-house. Delivering a positive experience across all customer touchpoints, while getting contact resolution right first time, can be tough. It relies on a deep understanding of customer needs and desires; the data for which should be drawn from a range of touchpoints. Seamless integration of customer-facing technologies such as CRM and billing platforms is therefore crucial in order to gain the 360-degree view of the customer that is so vital to delivering great service. However, even cloud-based solutions – renowned for their speed, ease-of-deployment and use – still fall short in this regard, often requiring significant skill, experience and investment to integrate properly. A key challenge for businesses is that they must often choose between more lengthy, complex integration processes – which provide a more well-rounded view of the customer – and simpler integrations, which have the opportunity cost of compromising the quality of customer data. Neither of these options are ideal as both engender some degree of compromise, so this balancing act continues to be a real headache for many organisations as we move into 2019. Another area of compromise comes in the form of the age-old debate of ERP vs. best-of-breed (a.k.a. point-focused) software solutions. Should businesses invest in best-of-breed applications for each application area (CRM, document management etc.) or opt for the simpler integration processes associated with ERP systems and take the risk of a ‘jack of all trades’ system that does not match up to best-of-breed? However, we’re gradually seeing transformation in this area. Indeed, software vendors are now partnering, giving rise to a revolutionary ‘zero-integration’ model which enables companies to deploy a single platform approach inclusive of ‘plug and play’ market-leading, best-of-breed solutions with a single data model. This may finally put to rest the ERP vs. best-of-breed software debate through offering the best of both worlds, which could be extremely exciting news for the sector. Often, companies are forced to make concessions on the usability of their software systems because they meet particular requirements or have added benefits such as Artificial Intelligence (AI) elements. However, this is not an effective strategy for long-term business success. Great customer service relies on a team of well-trained and empowered advisers that can confidently use business technology on a day-to-day basis. People-friendly software is therefore vital if that business is to drive great customer experience – so user experience should be prioritised, not treated as an afterthought. Given the rate of change brought about by Digital Transformation, it’s important that CIOs choose software that’s right for both today and the future, while considering the software vendor’s product roadmap in purchasing decisions. Whilst immediate pressures and concerns must clearly be met, this shouldn’t be at the expense of the bigger picture. Solutions need to demonstrate how they’ll support the company in its Digital Transformation in the long term. For example, plans to integrate AI, what business challenges this will solve and whether the vendor’s roadmap is aligned with the individual business and market needs. The next 12 months will be a trying but exciting time for CIOs both in the UK and globally. A key goal for many will be implementing a company-wide shift from being a service provider to a business partner; one that is focused on strategic business outcomes and bringing the organisation closer to its customers. Suppliers must therefore also continue to innovate in order to support CIOs in 2019 and beyond. 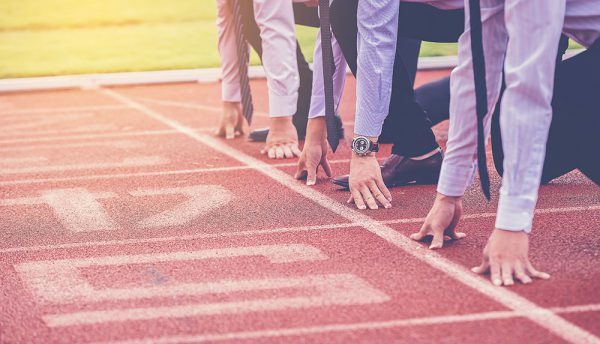 It’s vital that software ceases to hold back businesses from achieving their goals; those that work hard to stay ahead of the chasing pack in this regard will thrive in this brave new era. Now that we’re starting to get a handle as an industry on how to create innovative Machine Learning models that solve real-world business problems, there is the bigger issue of transparency within AI that we need to be aware of. Because of the nature of AI, we can’t always easily explain why an AI agent made the decision it did. We are seeing the need for transparency to the point where the models that are created throughout a business are not only catalogued and monitored, but are explainable. It’s not enough that your model was able to make a prediction with 99% accuracy – we need to understand why – and this notion of transparency will be crucial as AI continues to become more mainstream. What new data challenges will businesses face in 2019? 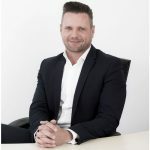 The role of data governance has always been an important role in an organisation, but as the adoption of AI continues to accelerate it will be critical for organisations to develop strategy and catalogues around how data assets are being leveraged in AI. What expectations will there be for data privacy and security? There is already – and will continue to be – heightened awareness around data privacy and security. Organisations are now understanding that even when data is ‘anonymised’ it doesn’t guarantee an individual’s privacy. The need for re-identification risk assessments and motivated intruder attacks that look for the potential of unintentional privacy leakage from aggregate data will be very important. As more data becomes available at scale, the risk of privacy breaches will also be heightened. What technologies can we expect over the next year and how will they affect data strategies in 2019? I.e. collection, management, analytics, etc. The democratisation of AI will continue. We’re also seeing this with major cloud providers like Google and the release of platforms like AI Hub in alpha towards the end of 2018. These kinds of platforms make it more accessible for ‘non-AI’ developers to access the power of more easily creating Machine Learning models and deploying pipelines into production. These things have typically been a departure from the skillset of the traditional developers but are now being democratised and will level the playing field to allow more companies to accelerate their AI acumen. What should the industry’s biggest priorities and focus be in 2019? The tools and platforms to accelerate with data, analytics and AI are ripe for being leveraged in every shape and form – at massive scale. As an industry, we have all been hyper-focused on developing Machine Learning models that perform well, driven by a lifeblood of data. As an industry, we really need to step back and focus on how we approach the delivery of our AI projects from an ethical standpoint – and this all stems from the data and any bias in that data. We have seen throughout the course of the year via examples like Amazon’s recruitment AI platform which had a bias against women, that this is a real problem that often goes unmonitored. Similar to the way we design systems with a ‘privacy first’ approach, we must begin designing our AI platforms with an ‘ethics first’ approach, which will truly become an industry in and of itself. Looking back at 2018, what did we get right and what did we get wrong as an industry? 2018 was an incredible year for data and AI. The growth in technology that has allowed AI to become more accessible to the community has been staggering. The investment in data and AI education from universities, government and corporations has allowed for something that once seemed daunting and unreachable to be brought closer to home. Where we still struggle, however, is in taking those next steps towards uncovering those ‘killer use cases’ – as they are too few and far between. Together, we must do a better job of articulating the ROI for AI in the sector.